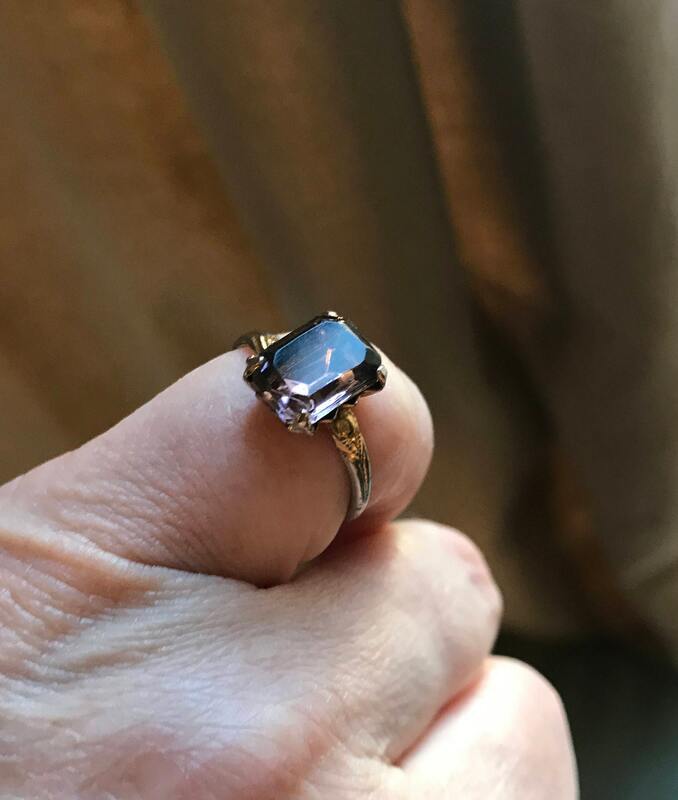 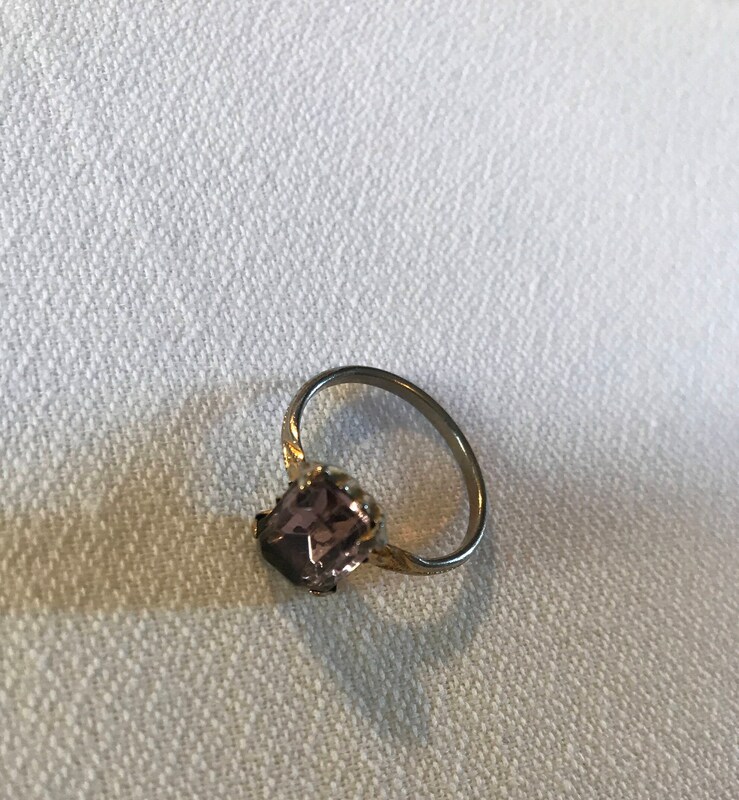 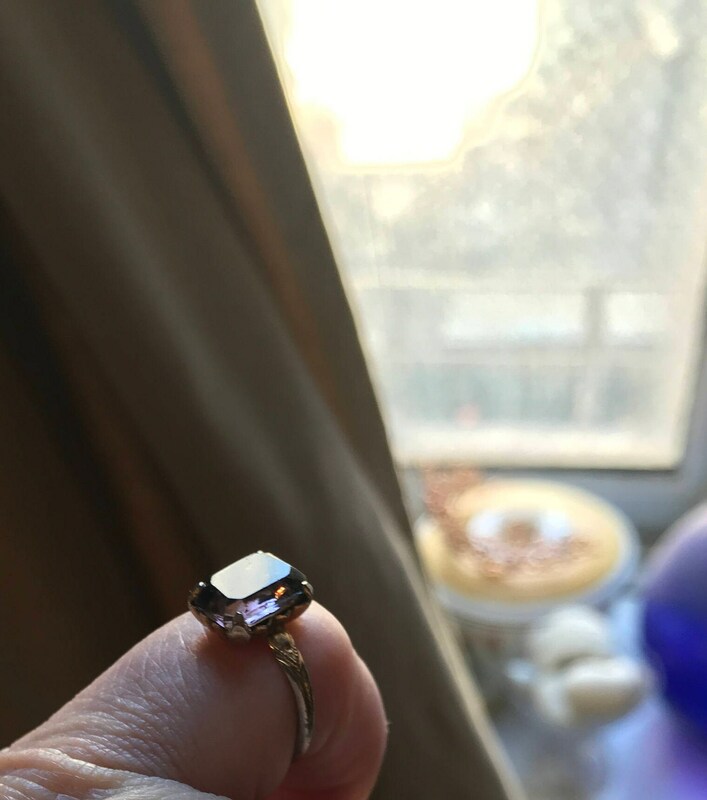 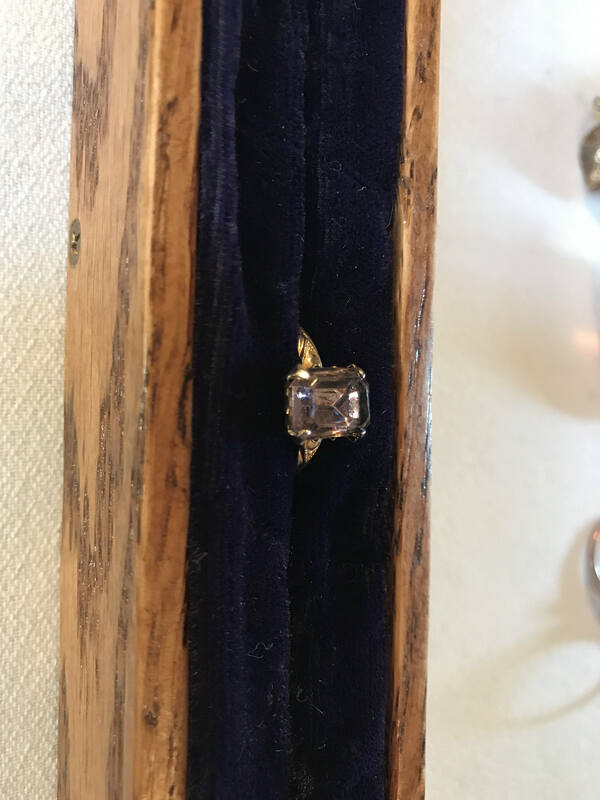 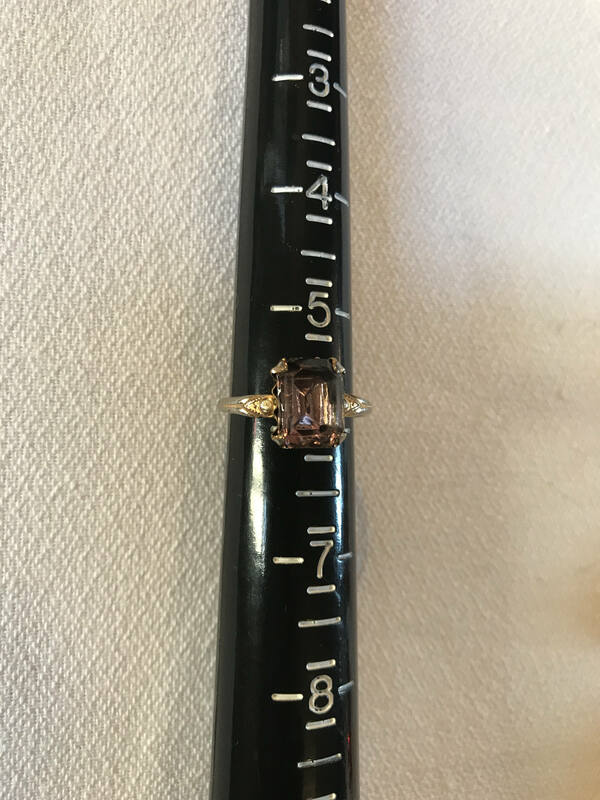 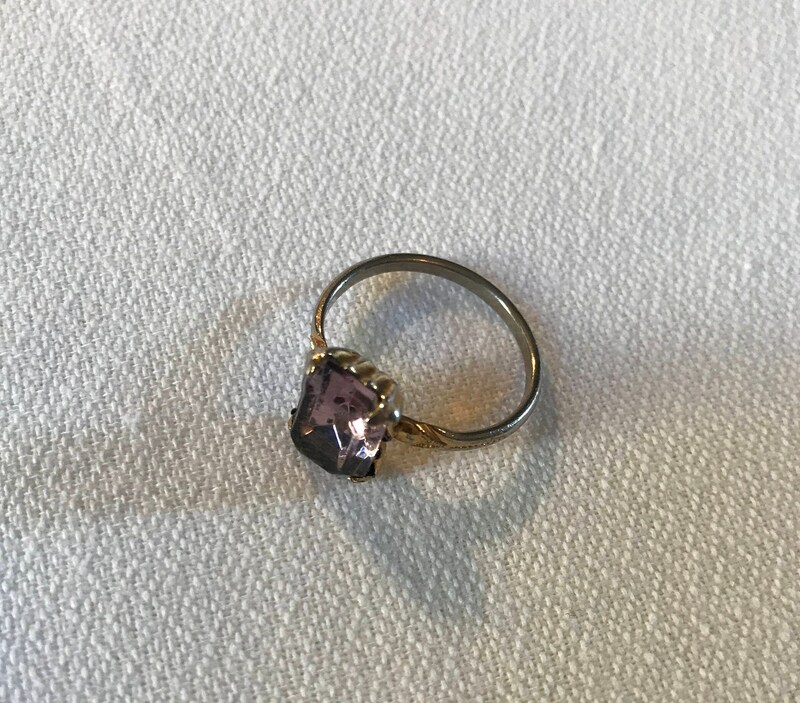 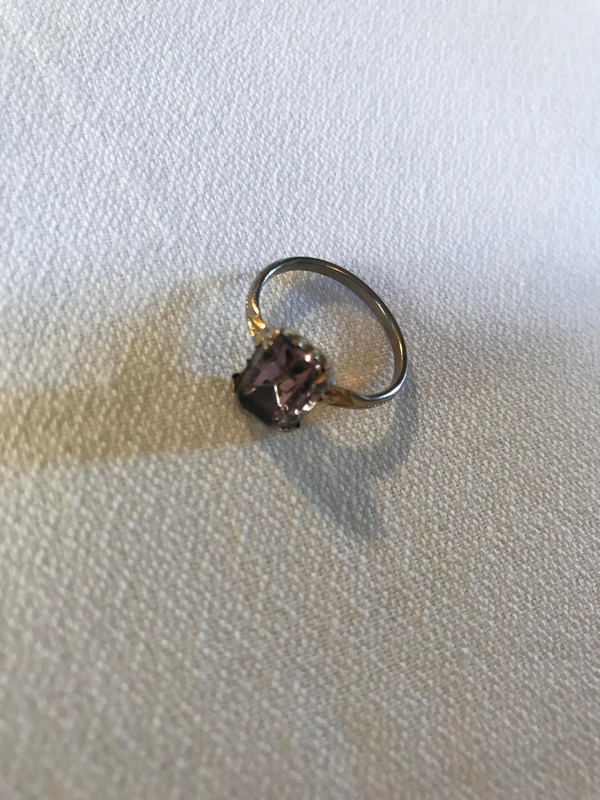 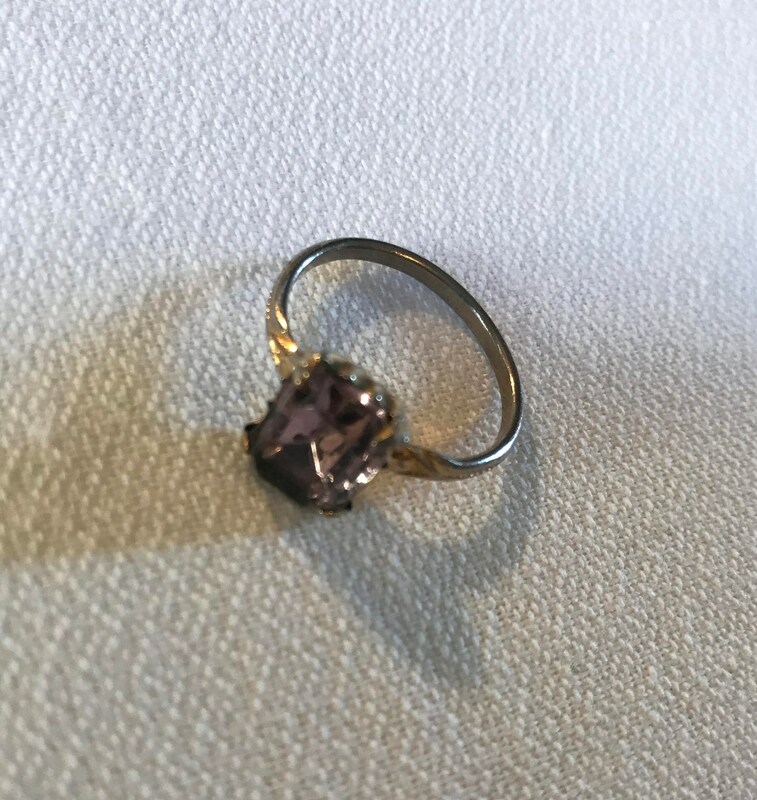 Could be a small amethyst but given I am not a jeweler and the costume nature of the ring I am going to guess it is glass. 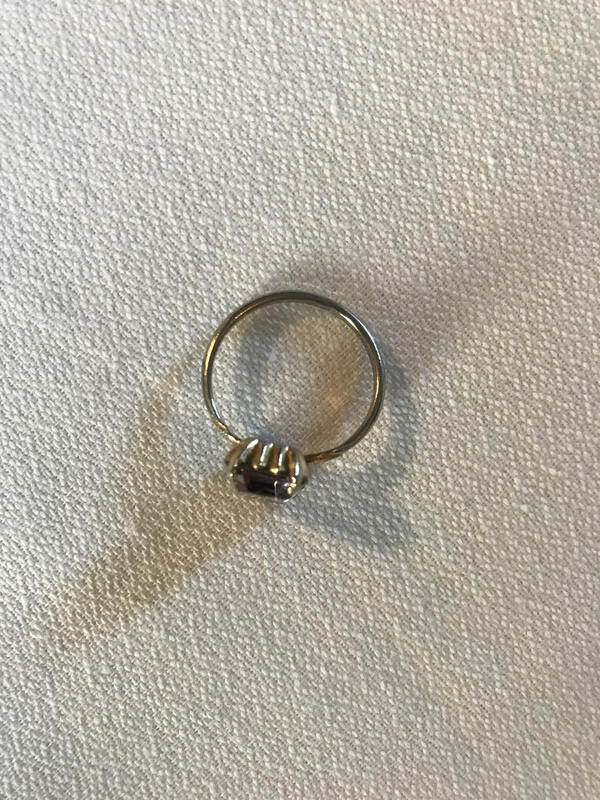 Goldtone band has nice details along with rather nice signs of aging. 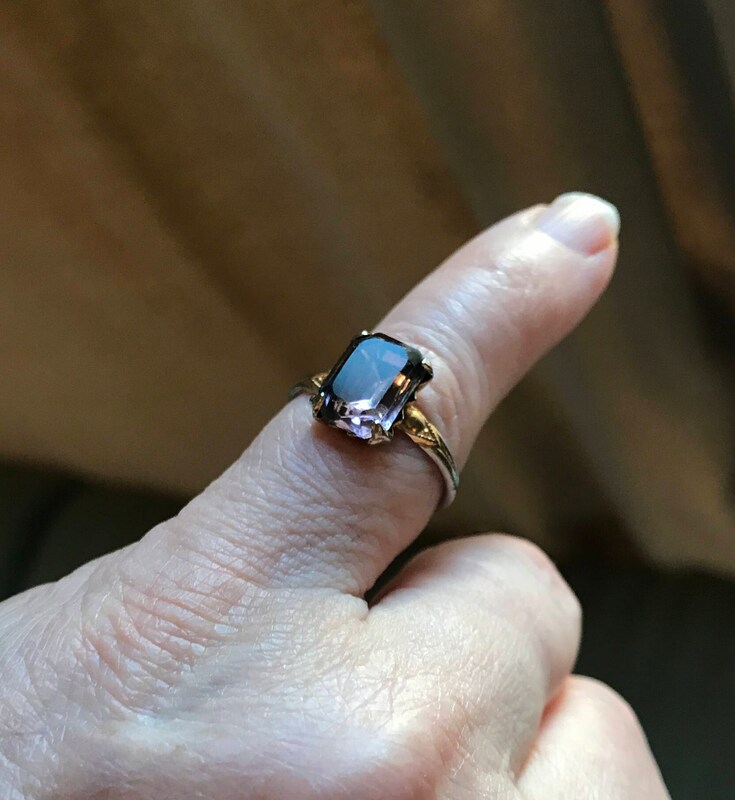 As these rings were popular when I was a kid...Victorian revival in style ...and birth stone rings were popular ...going to guess 1970’s although it looks a little older.